Updates on 14th March: Let's see the real specs firstly: the phone will run with 1.6GHz Octa-core Exynos processor / 1.9GHz Quad-core Qualcomm processor (varies by market), a 5-inch Full HD Super AMOLED display, amazing resolution: 1,920 x 1,080. Storage: 16/32/64 GB User memory + microSD slot (up to 64GB), which is an important advantage compared to Apple's iPhone. Size: 136.6 x 69.8 x 7.9mm, lighter (-3g) and thinner(-0.7mm) than S3. Even though Galaxy S4 looks so much like Galaxy S3, some features in common are improved in a better way for Galaxy S4, for example, Smart Scroll utility. Will Samsung Galaxy S4 will bring another sales record to the company? This up-to-date smartphone will be launched for sales in the second season all over the world. Samsung announced a special press event on March 14 to announce what’s probably going to be the Galaxy S4. It's well known that Galaxy S2 and Galaxy S3 created outsatnding sales number to Samsung and Samsung is the best and famous smartphone brand, at least in Android smartphones. Will any new and amazing features be with new-gen smartphone? Will the new Galaxy be assembled with new and better hardware than previous generations? 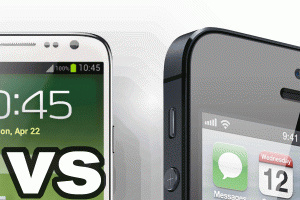 Will Galaxy S4 a powerful competitor to the top smartphone brand in smartphones - Apple's iPhone 5? We only can compare features in an all-around way between the new Galaxy phone announced officially in March, but now we could read rumours firstly. Screen -- Samsung likes to make their smartphone screen shaper and shaper with bigger and bigger screen. For example, from Galaxy S2 to Galaxy S3. There seems a much more likely option in the shape of the 5-inch 1080p screen that could offer up an eye-splitting 441ppi. It would probably need to be shrunk down a smidge to fit into the palm, or Samsung could actually just make the phone even closer to the edges of the screen. Camera --The Galaxy S4 will use Samsung’s new Orb technology, which allow users to better capture 360-degree snapshots. Well, it is not surprised. Besides design, screen, software, what else do the manufacturers work on? Yes, the camera. It is not a phone, but a camera with amazing resolutions and pixels! The S4 is rumored to employ similar technology for a "floating" touch feature, which would introduce a new dimension to all the typical pinches and swipes. Battery -- The S2's 1,650mAh was manageable and the S3's 2,100mAh blows that out of the water. But it's still only OK.
Motorola has proven it can be done by whacking a 3,300mAh power pack into the RAZR Maxx which can still be considered a skinny Minnie. Something of that size – along with ICS and Samsung's power management abilities – would really be the icing on the Ice Cream Sandwich. Others -- The Galaxy S4 could follow in the footsteps of the Nokia Lumia 920 and Lumia 820 as it brings wireless charging to the table. The Galaxy S3 also apparently has this, but it's never been properly realised. Also Samsung's S Health app could well make its way onto the Galaxy S4, allowing you to monitor things such as blood pressure, blood sugar, BMI and weight with the aid of a separate pad. Like Passbook in iPhone, Samsung also has the similar app called Samsung Wallet. Combine that with the new Samsung Wallet application for cards, loyalty, plane tickets and such and you can see that Samsung is looking to take even more things from your pocket (as in your wallet as well as your cash. How about watching DVD movies with Samsung Galaxy S4? No doubt that the latest Galaxy smartphone will have the best screen and resolution in cellphone market once it is launched. Samsung is good at producing high-quality screen. With a big and high-resolution screen, why does not watch videos or DVD movies with it? So easy to transfer videos from your PC to Galaxy S4, but how about DVD movies? There is not DVD drive for loading DVD disc directly. No problem, you just need to use a software to convert DVD movies to videos supported by Galaxy S4, and then move the videos from PC to the phone, and you can watch DVD movies with the latest smartphone freely. Here we recomomend Any DVD Cloner Platinum to you for converting DVD movies to Samsung Galaxy S4. Any DVD Cloner Platinum is a powerful DVD to video converter, which provides three widely used video formats: MP4, M4V and MKV with various and popular portable devices including Galaxy S2, S3 and S4. Users could rip DVD movies to videos for their mobile devices with several steps. Download Any DVD Cloner Platinum user manual right now for reference. How to use DVD to Samsung Galaxy S4 Converter to rip DVD movies t videos for playable on Galaxy S4? It takes five steps to convert DVD movies to Samsung Galaxy S4. 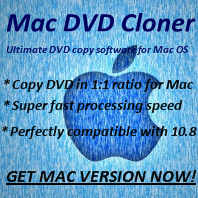 Download the latest version of Any DVD Cloner Platinum and install the program on your computer. Mac users could download the Mac version. 1. Click OPEN DVD button to load DVD into the program. 2. Choose Title for ripping among the list. Or the program would select the longest title by default. 3. Choose CLASSIC in the output profile for ripping DVD to Samsung Galaxy S4. 4. Confirm the correct output format is selected: MP4 is the most widely used video format, which can be playable on Samsung Galaxy S4. 5. Click START button to convert DVD. Any DVD Cloner Platinum would take no more than 30 minutes to convert a two-hour DVD movie to MP4. Target folder would popup automatically once the conversion completes. Users can watch DVD movies with the smartphone after transferring the videos to the phone.